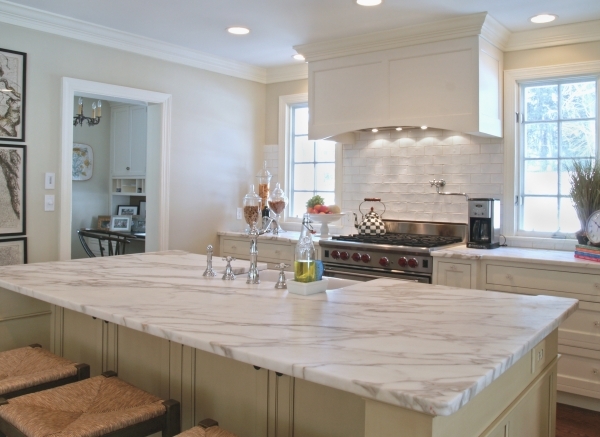 Get a FREE cost estimate and consultation for kitchen design and kitchen renovation in NJ! Call us today at All 1 Kitchen: 201-731-5146. We’re already halfway through 2016, and so far, it’s been an interesting year in kitchen design in New Jersey and NYC. 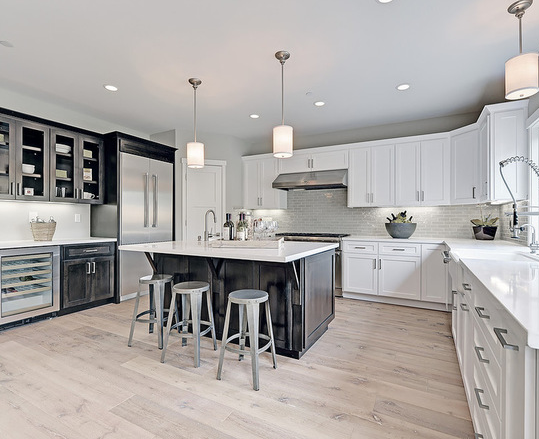 As transitional and contemporary kitchen styles continue to overtake more traditional designs, homeowners are playing with novel color schemes, bold kitchen cabinets, and unusual floor plans. Technology also continues to take center stage, as new kitchens increasingly incorporate charging stations, tablet holders, and other amenities. 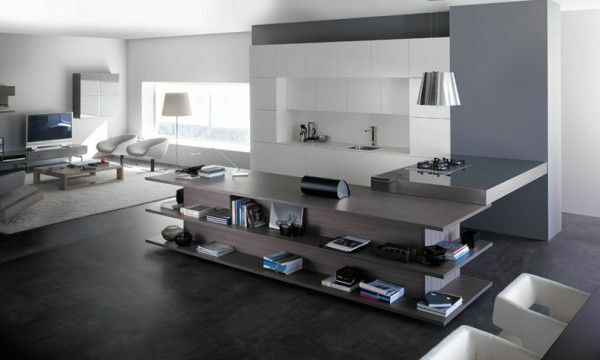 At All 1 Kitchen, we’re always at the forefront of the latest developments in kitchen design in NYC and New Jersey. Our talented design team works with local homeowners to make kitchen design visions into reality with custom kitchen cabinet installation and more. For a free consultation and design estimate for new cabinets and kitchen renovation, call us any time at 201-731-5146. 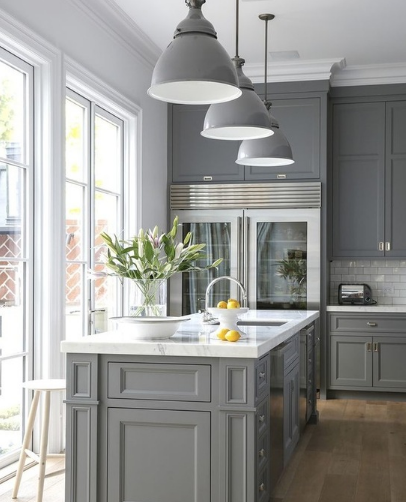 These 2016 kitchen design trends can help inspire your brand new kitchen. From unusual colors for kitchen cabinets, to smart technology for the 21st century, the American kitchen continues to evolve. 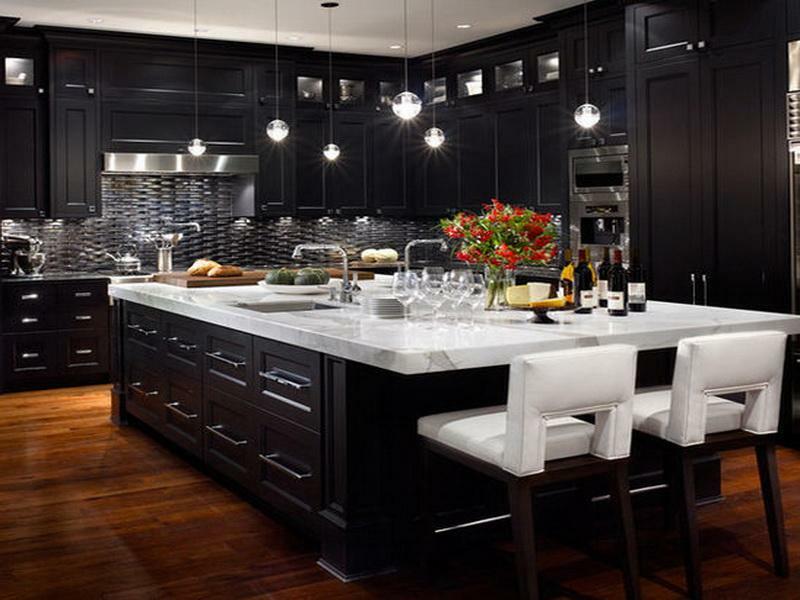 Black is far from a traditional color for kitchen cabinets in New Jersey, but in 2016, black cabinets have made their mark as a versatile design trend. 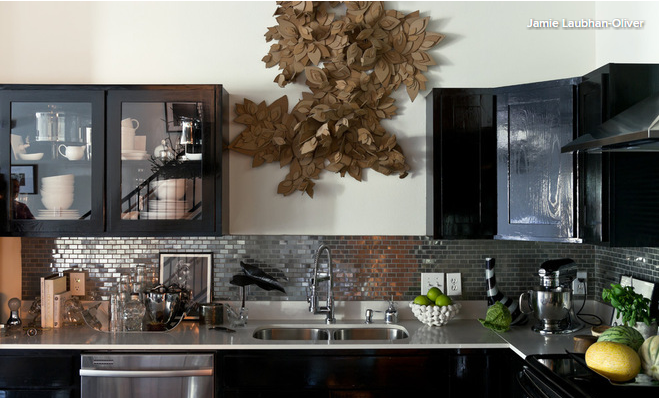 The visual appeal of black or very dark cabinets is striking, in both traditional and ultra-contemporary kitchen designs. Just when you thought the ’80s revival was finished, it’s come back again– this time, in your kitchen. Distinctively 1980s touches like glossy surfaces and mirrored backsplashes are coming back into vogue. This time around, however, the look is more elegant and refined, with more natural materials and conservative color palettes taking the place of the “plastic-y” look of many ’80s interiors. Black and white minimalism and bold color schemes aren’t the only game in town. This year, kitchen designers have also noted the increasing popularity of kitchens with soft, muted color schemes. The muted greens, yellows, and ivories in this kitchen are soothing to the eye. Two bold red chairs provide an element of contrast. Gray color schemes have been popular throughout the home, and in 2016, this also extends to kitchens. Soft, muted gray color palettes create a soothing atmosphere, especially when paired with ample natural light. Transitional kitchen design blends contemporary and traditional design elements, for a look that’s elegant and distinctively modern. Metallic finishes were a popular trend in 2015, continuing into this year. Recently, small touches of metal with a raw texture have added a touch of the distressed look to many New Jersey and NYC kitchens. 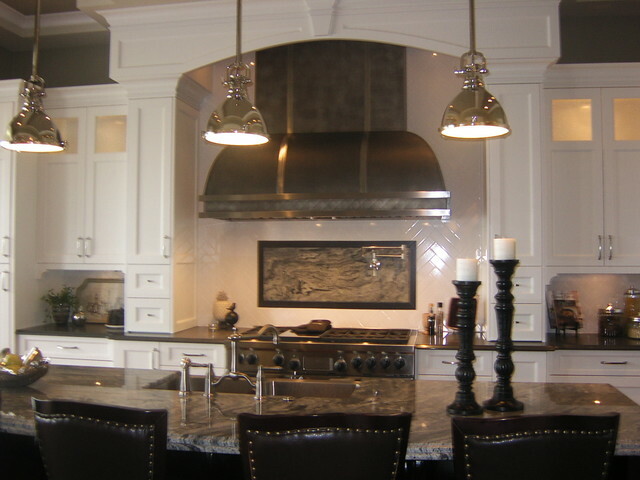 This black steel range hood creates an interesting focal point. Instead of partitioning the kitchen off in its own room, many modern home designers are integrating cooking spaces into living areas, with a spacious open floor plan. 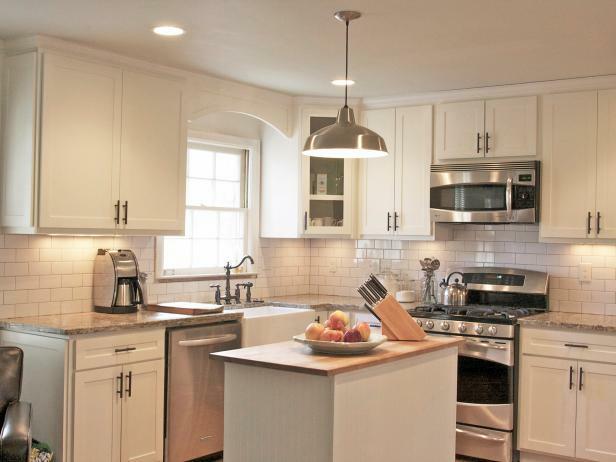 The classic simplicity of Shaker cabinets has found a renewed popularity among New Jersey and New York homeowners. Originating with the Shaker religious movement in the early 18th century, this style of carpentry is elegantly simple, blending form and function seamlessly without excess. Although Shaker kitchen cabinet installation complements traditional and farmhouse kitchen designs, their clean lines also complement more modern design styles. Blue has been one of the most popular colors for interiors in 2016. 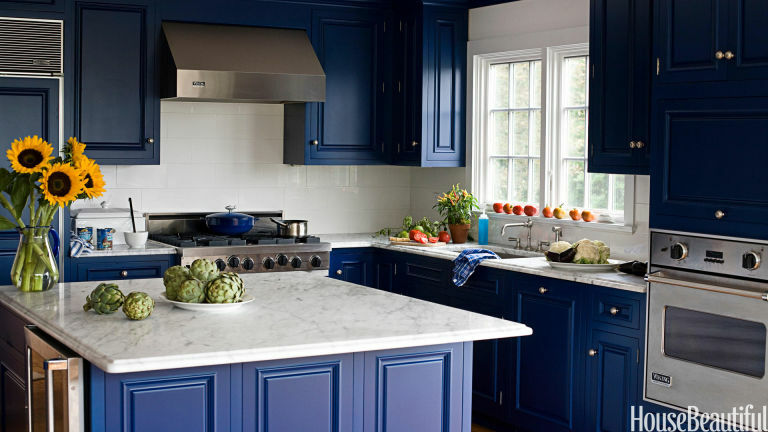 These bold blue cabinets add a touch of the unexpected in this sunny, cheerful kitchen. 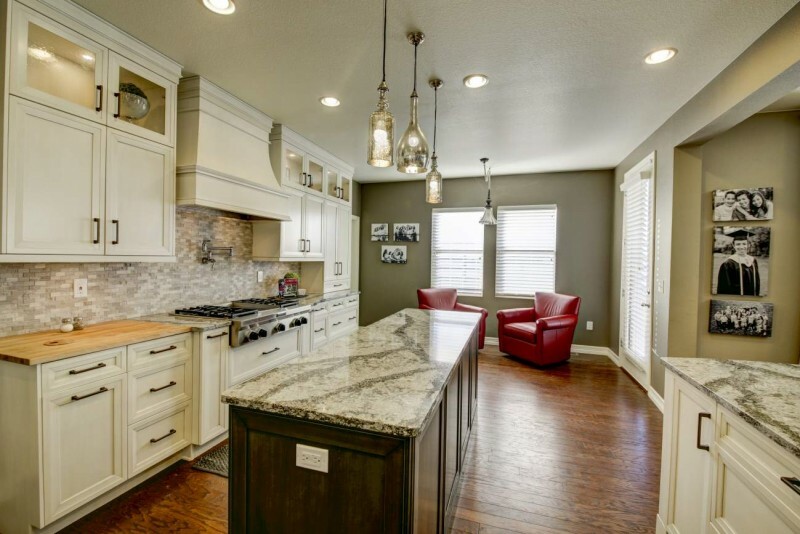 Natural granite countertops are still going strong in 2016. Granite combines the unparalleled beauty of real natural stone with superior resilience and durability. White granite’s soft, greyish appearance complements many other 2016 design trends, from bold black cabinets to muted color palettes. Kitchen Design Services in NJ & NYC: Start Creating Your Dream Kitchen Today! At All 1 Kitchen, our kitchen design services are available in New Jersey and New York City. Our talented interior designers and kitchen installers will work with you to bring your design dreams to life. From elegant traditional kitchen design for historic homes with antique interiors, to sleek ultramodern contemporary design, your imagination is the limit. To find out more, or for a free consultation with our kitchen design experts, call us today at 201-731-5146.